(white) 82 Days. [Developed 1902 in Andover Township, NJ, by horticulturist Luther Hill.] Produces two 6 in. ears on each 5½ ft. tall stalk. A home garden variety adapted to the Appalachian foothills. Can be grown as far north as southern Ontario. 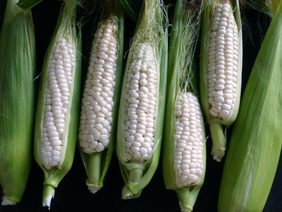 Flavor is unsurpassed compared to other open-pollinated corns. One of the parental lines of the very successful ‘Silver Queen’ hybrid sweet corn. 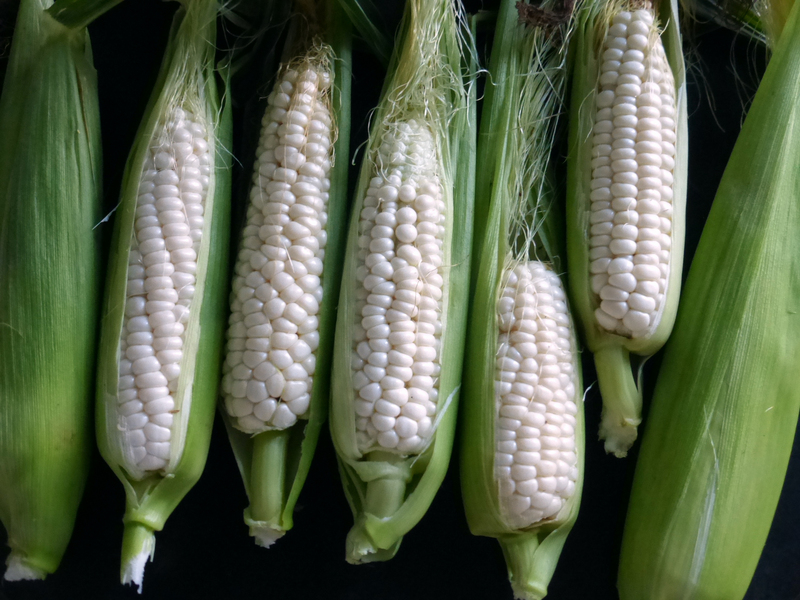 Still used by breeders to impart exceptional flavor to hybrid sweet corn. Does best on a well-drained ridge, not soggy bottom. We recommend pre-sprouting the kernels and sowing in warm soil at 12 in. in-row spacing. Once established provide plenty of water and nitrogen. When grown for seed in a humid climate it must be watched carefully to produce quality seed. Pkt. "I grew up and still live in Sussex County, New Jersey. When I was a child, every picnic included Luther Hill corn, and corn has not tasted the same since. To this day, you will hear someone say, 'There's no corn like that Luther Hill corn we used to get.'" -- Donna S., quoted in Seeds of Change: The Living Treasure, Kenny Ausubel, 1994. Packet: 1 oz (28g) (about 110-210 seeds, depending on variety) sows 30-45 feet. 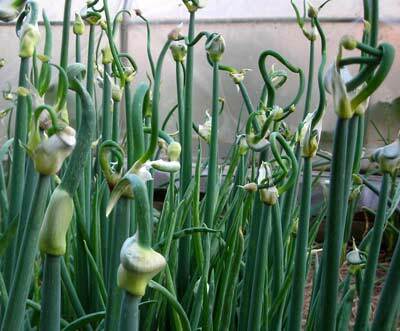 Egyptian Walking Onion (Tree Onion), bulk size: 3 oz.